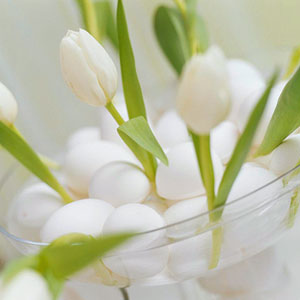 Do you host Easter or do you go to someone elses house for Easter? 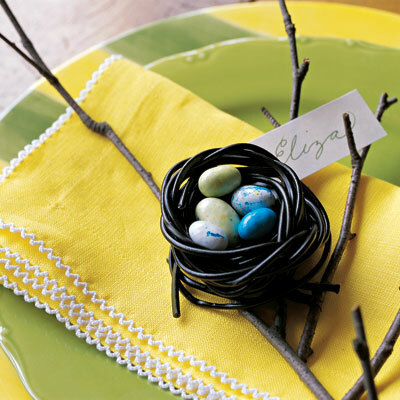 Do you do themed Easter decor? 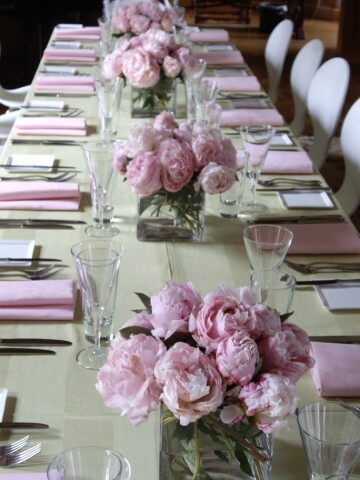 I would love to be home for Easter as my Mum always creates a fabulous meal as well as a beautiful tablescape. 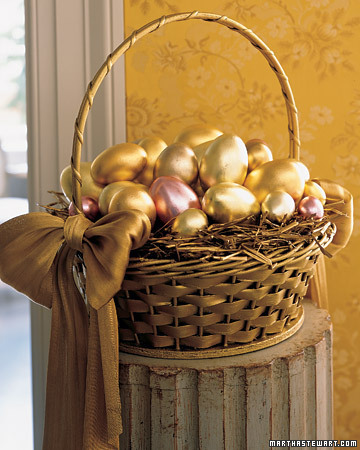 So I will be hosting Easter at my place, which means this weekend I best go out shopping for my decor. 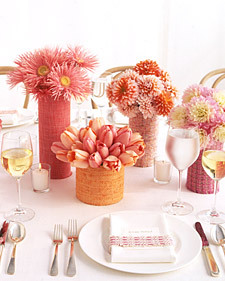 I will be giving my table a color theme which will be soft and feminine. I love all of the Easter looks! I really can not decide which one I like the best. They are all fabulous! We are having my family for Easter this year. I thought about cooking a big brunch, but since I am 7 mos preggos, I just dont think I have the energy for that right now! Have fun shopping this weekend! 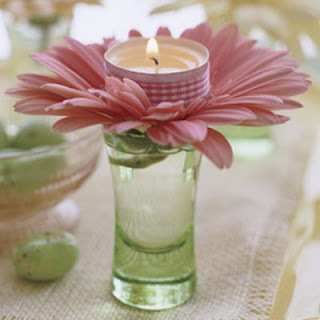 I'm going to Greece this Easter, so I don't get to decorate my home which is probably the only drawback:) Great inspiration, I'll might save those images for next year:) Have a great weekend! One of the main reasons I like spring is the pastel colors, especially the violets and lavenders! The Easter Egg wreath in the first picture is adorable! I definitely want to make one like that when I have little kiddies to ooh and aah over it!! Love it all. So cute and preppy! Perfect decor for easter! Wow, I really, really want to decorate for Easter now - these are all so pretty! Cant wait to see your tablescape! I have the InStyle Parties cookbook/decor book... looks like a shot right out of hte book LOL awesome! i was never a huge fan of easter because when i was really little i ate my whole easter basket in one day (no easy feat...considering the 'easter bunny' gave me huge amounts of candy) behind my parents back and threw it all up. Oh, I love all these looks! I love that Eater is later this year, everything is starting to bloom! 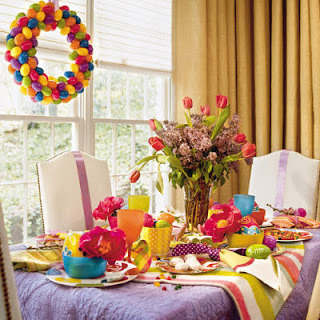 How fun your hosting Easter! Can't wait to hear about it! I will be going to my Mom and Dads! this looks so beautiful!!! love the first style! 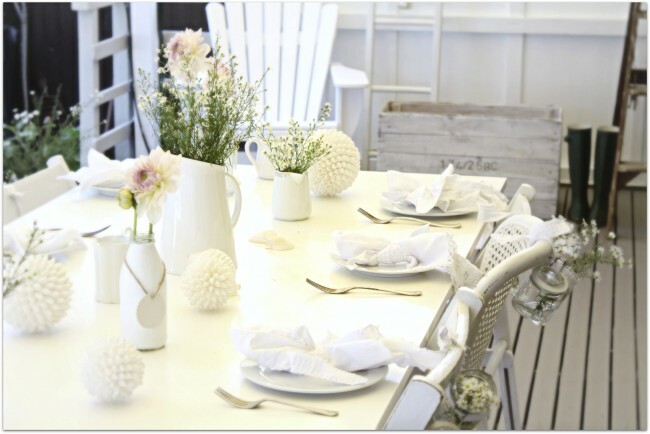 These table settings are so adorable! I just love the nest. That is soo creative. This year, we are doing at my parents. I think its a pretty low key Easter get together this year which is nice. The robin has landed and soft and sweet would be the way I would do it if my family was able to come over. Unfortch everyone is in Canada. Kind of a bummer, but still very grateful for Easter and all it means. I love soft and sweet! so pretty! My mom goes all out for Easter too. 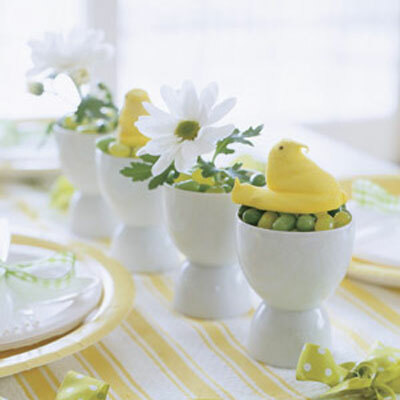 We usually have a big outdoor egg hunt and an amazing meal. 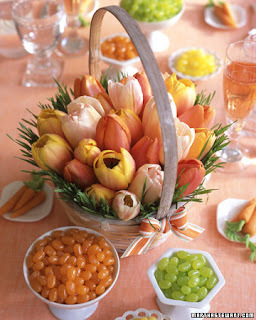 Beautiful selection for Easter, it would be hard to pick a favorite they are all so pretty. Great ideas! The classical one is my favorite, I guess but it's too hard to pick one. Oh, and I don't think there's need for too much Easter decor shopping, actually - right colors, tulips(or other spring flowers) or eggs are just enough. Good luck! OMG!! 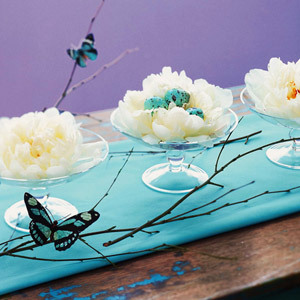 If only I could entertain like that....Pictures are gorgeous. I love al the decor here for Easter, I can't believe it's already next weekend! 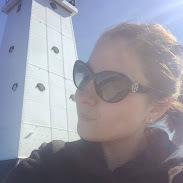 Adorable blog btw, new follower!